What would you say if I were to offer you a way to exercise for only one hour per week and be able to lose weight fast? What if i said on top of this that you could supercharge your fitness levels, boost your metabolism, increase your cardiovascular endurance threshold and that over time your blood pressure would be lowered and your risk of getting type 2 diabetes would be reduced. You would think that i was having you on right? Or that this is some advertising scam where I try to part you from your hard-earned cash. All of the above are not merely claims but are test proven facts and you can take your hand off your wallet because this wonderful, potentially life-changing information will not cost you a penny. 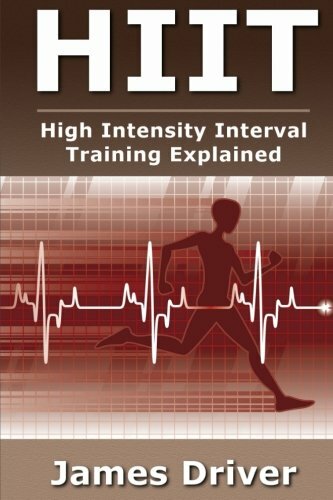 Interval Training or H.I.I.T. (high intensity interval training) is not a new concept, the principle has been around for decades, but now through studies, tests and in-depth research its full potential is now clear and it is now an advanced and structured system of training. Furthermore, its potential as a major contributor to weight loss is very exciting. Very simply it is a short period of high intensity activity followed by a period of lower intensity activity and then a further high intensity period and then a low intensity period...and so on. The high intensity periods are known as 'sprint periods,' although your activity does not have to include running, and the low intensity periods are known as 'rest periods,' although you will still be active. These periods of high activity and then rest will vary in duration depending upon your fitness level, goals and abilities. What is important is that you tailor these periods to your own capacity. You can do interval training with many activities including: running, cycling, swimming, circuit training, body-weight training and even walking. It combines aerobic and anaerobic activity. Anaerobic activity occurs when the body exercises at a high rate. When this occurs then the bloodstream is unable to supply oxygen to the muscles fast enough for the activity which they are doing and so the intensity cannot be sustained. Lactic acid production in the muscles is happening at a faster rate than its removal which results in muscle failure and will be felt as aching muscles and fatigue. This point is known as the lactic threshold and is an indicator of performance ability, the higher the threshold the fitter the you are. Short, intense activity burns more calories than during long endurance exercise, this is the reason that interval training is so effective in the weight loss battle. H.I.I.T. drains muscles of their energy supplies. After training, these supplies need replacing and this is where its real potential as a process for fat burning shows itself. To replenish the lost energy supplies takes 24 to 48 hours and the body is forced to use its own fat reserves to supply this need. Which means that for the next day and possibly two, while you are watching tv or sitting at your desk and even whilst sleeping, your body is busily working away to replace those energy reserves...and you are losing weight. Just 20 minutes of interval training performed on alternate days, to allow for repair of muscles, could see a loss of around 2 lb or more every week. The length of intervals is really up to you. If you are a beginner and not at the peak of fitness you may want to try a sprint period of 10 to 15 seconds and a rest period of 60 seconds. You could be up to starting with a 30 second sprint period or perhaps even longer. It is up to you to work out the level that best suits your body. Just be sure that during sprint periods you are working at no less than 80% of your ability (slightly below your top speed) and during rest periods you are moving at about 20 to 30% of top speed. If your activity is running then you may want to slow jog or even walk. Just be sure that rest periods are not so long that breathing and heart rate return to normal. Be sure to warm-up for at least 5 minutes before each session and allow a similar time to cool down afterwards. Do not repeat a session the following day, you will need to rest to fully benefit from this training system. So get stuck-in and enjoy it. You will very soon feel and see the weight loss benefits and I am sure that you will feel amazed at the surge in energy levels that you will experience.